1: Tencel (Lyocell): can be made from a variety of wood fibres. Suppliers like EKO (Earth Kind Originals) use eucalyptus tencel for their T's, leggings, and vest tops. This is a soft, absorbent fabric which is very strong when wet or dry, and the process used to make eucalyptus tencel fabric is relatively low-impact as it is done in a 'closed-loop' way, with any chemicals being recycled. It is also biodegradable. Eucalyptus is fast growing, and can be really beneficial to an environment (e.g. can be used to drain swamps and therefore prevent malaria). I thoroughly recommend EKO garments, especially their simple T's and vests, as they are super soft and really comfortable, allowing for great freedom of movement when doing anything active. They also retain their shape when washing, and a good proportion of their manufacturing is done here in the UK. See here for more on EKO. 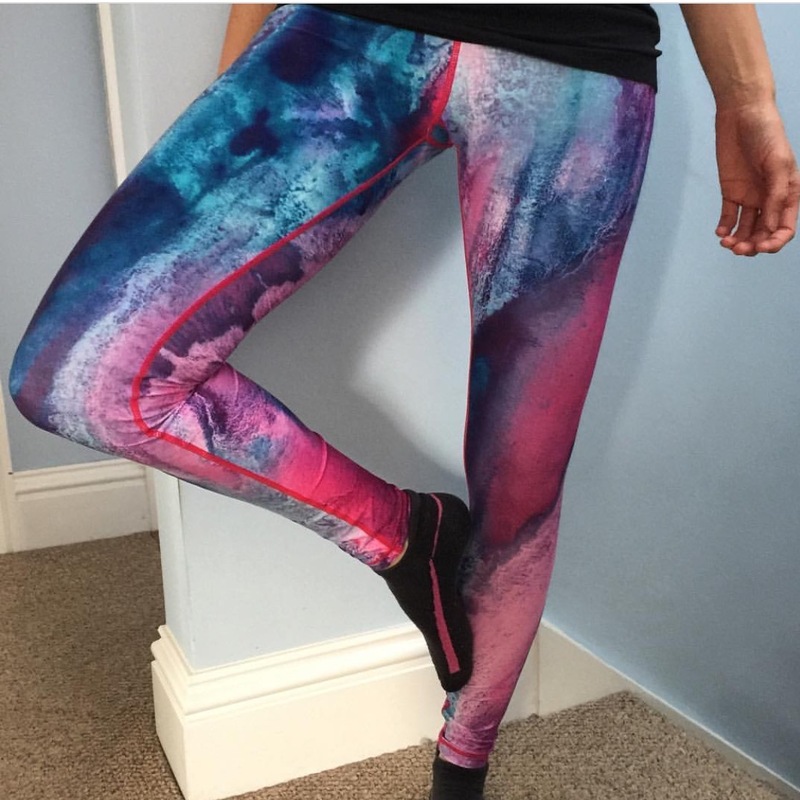 2: Recycled polyester: companies like My Mantra Active do stock a range of leggings and swimwear made from recycled polyester. I bought a pair of leggings and am pleased to report that they are soft and comfortable, and have washed well. They are not too hot for intensive workouts. It seems there is more choice in recycled polyester garments if you live in the US or Australia, but I am hoping we Brits will catch up on this sometime soon. Most local councils and some charities provide clothing banks where you can donate old polyester for recycling- I have a few wrecked workout outfits which are heading that way! The good news is that polyester can be endlessly recycled. 3: Coffee. Yes really. We Are Star Seeds are developing fabrics made from coffee fibres, and which are designed for being active in. Although disappointingly there doesn't seem to be anything made from coffee on sale quite yet, I'm sure it will be available soon, and as I find that quite exciting I will be checking in regularly on their website. Great to see exciting new plant-based fibres being developed like this! I often see sportswear made from modal. This is a manmade fibre classed as semi synthetic, as the fibres do come from beech trees (which is obviously a natural source) but have to be blended with another material to make fabric. This takes a lot of resources to make into fabric. Beech trees are also slow growing. Polyamide: this term does apply to naturally occurring molecules, but on garment labels it refers to synthetic man-made fibres (natural polyamides include silk). They can feel nice and soft as if natural, but polyamide is basically nylon. Nylon is not biodegradable, and as it is meant to be extremely durable it is also difficult to recycle. Something for the Future of Sportswear Fabrics? As an aside, another fabric you may not have thought about for work-out apparel is linen. 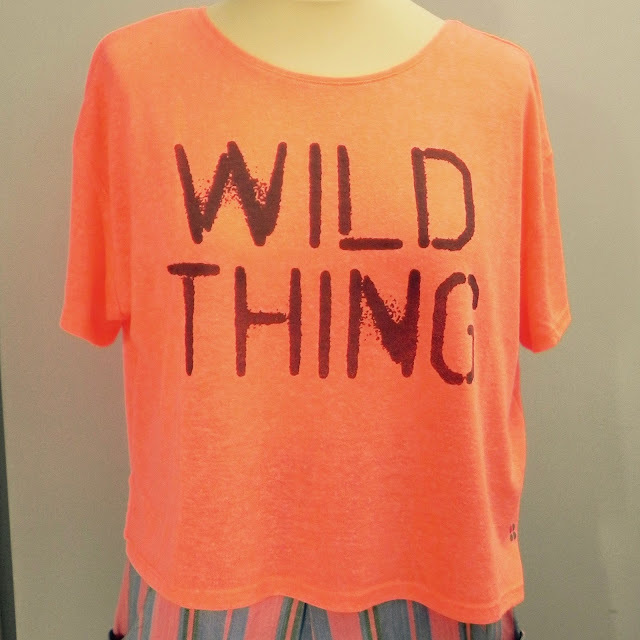 My Sweaty Betty 'Wild Thing' T is a linen blend: 83% polyester and 17% linen. Ok, so it isn't the most eco-friendly gym wear, but it is soft, and really light on the skin. I'd love to see more linen used like this- specifically for exercise, as linen is cool to the touch, really hardwearing, and anti-bacterial. The linen garments we tend to think of are cut and sewn from fabric which is woven (like shirts), but I don't know of any reason why linen shouldn't be knitted and made into more stretchy items (like T shirts). Please pursue this, sportswear brands!